Every Tuesday I post a work of art I love priced under $10K. This week: The Daniel Heidkamp show at Pace Prints in Chelsea is super fun! 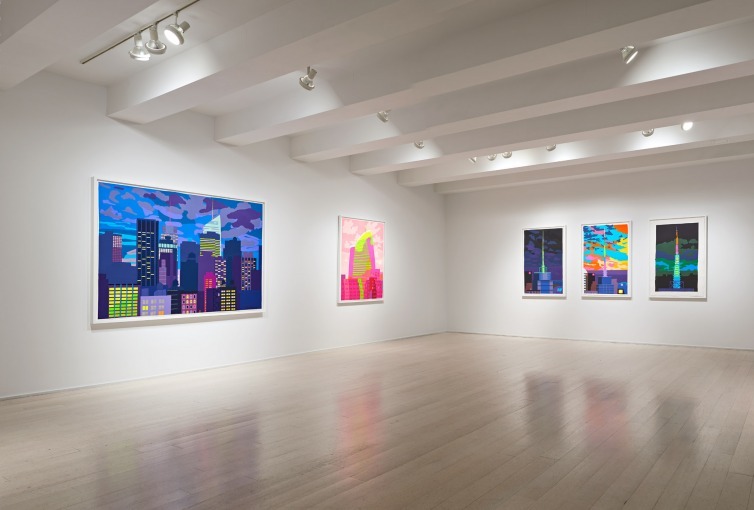 Showing skylines and city scenes, each form is carefully composed from fluorescent paper cut outs, and most of the work in the exhibition is in the under $10,000 category. Love it!